May 25 SCLA Annual Meeting at Spider Lake Town Hall 8:30-10:30 a.m.
June 9-15 My Shoreline Week:Take Action! Yellow Flag Iris teams at work! July 5-7 Take Action! Yellow Flag Iristeams at work! July 6 SLEEK (Environmental education program for children); stay tuned for details! “Wine and Wisdom” and other events will be announced in the monthly SCLA electronic updates! Be sure to read the updates for important information about events and other SCLA initiatives. Click here to read the December President's Letter from Steve Smith. He encourages all members to participate in preserving and protecting this irreplaceable resource for future generations. 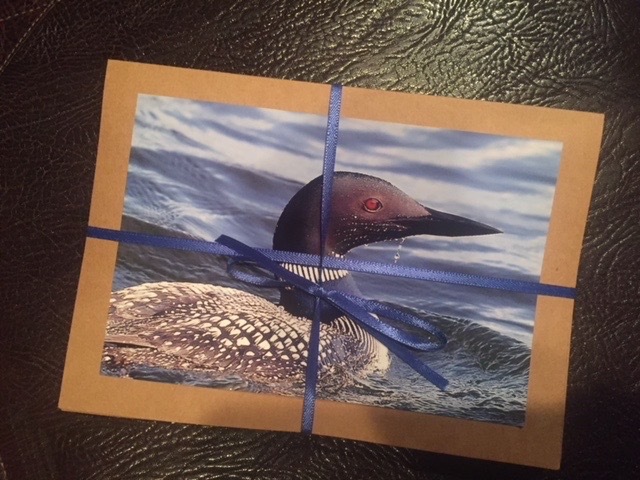 If you have already contributed, THANK YOU for recognizing that it is not up to "other people" to help protect this chain of lakes, it is up to all of US. REGISTER HERE for the SCLA Labor Day Picnic! Please click on the link below to register for the picnic. Follow the prompts to RSVP, tell us how many adults and children in your party, and whether you'll be bringing an appetizer or dessert. The system is looking for a headcount, so each paying attendee must be counted as a registrant or a guest. (If you are a couple, you should register as 1+ 1 guest). You may pay online, or choose to be invoiced (and pay at the picnic or mail a check to: SCLA, PO Box 1082, Hayward WI 54843). Thanks! -Register (1) Adult in the main registration for $15 and enter the number of additional Adult registrations ($15 each, age 11 and up) and Child registrations ($5 each, age 5-10) in the appropriate fields on the registration form. Children under 5 are free. Any questions/problems registering? Please contact spiderchainoflakes@gmail.com or call 715-462-4684. We look forward to seeing you! Please bring an appetizer or a dessert to share. We invite you to participate in the 2018 SCLA Photo Contest! Please share your creativity and talent with us as you capture those special images. The details are below, and we look forward to seeing what YOU see on the Lakes! Tues, July 3 - Log ‘Roleo’, 3:00-5:00 pm, south end of Little Spider Lake Unfortunately, this has been CANCELED due to unforeseen circumstances. Fri, July 6 - SLEEK Educational Program, 9:30 am, at The Four Pines, Little Spider. All about BATS! Sat, July 14 – Wine and Wisdom Event, 5:00-7:30 pm, at the Spider Lake Golf Resort. Guest speaker: John Theil - - it's one not to miss! 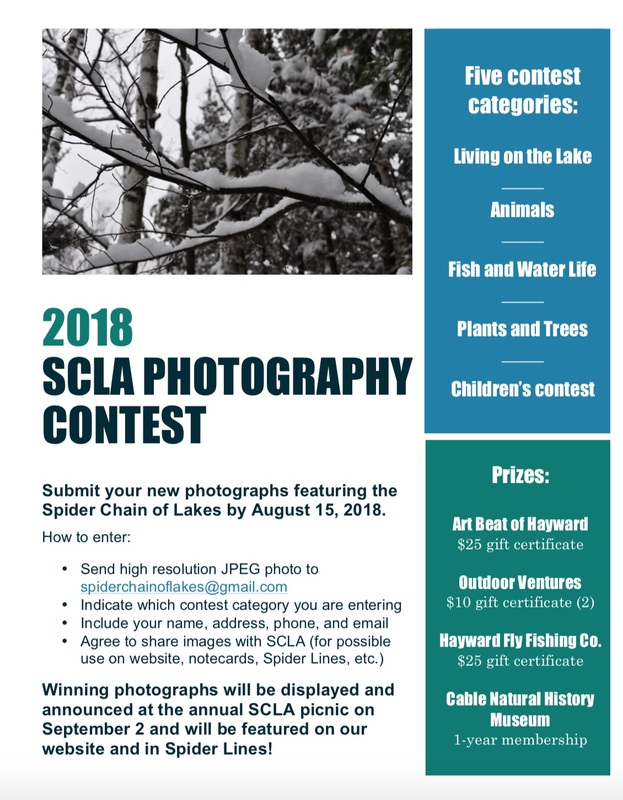 Wed, Aug 15 – SCLA Photo Contest deadline. Get those photos in! See flyer on home page.